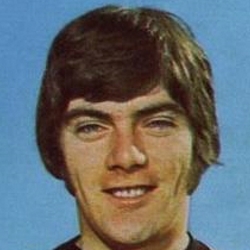 Jackie had been with St Mirren and signed for United from Stranraer. 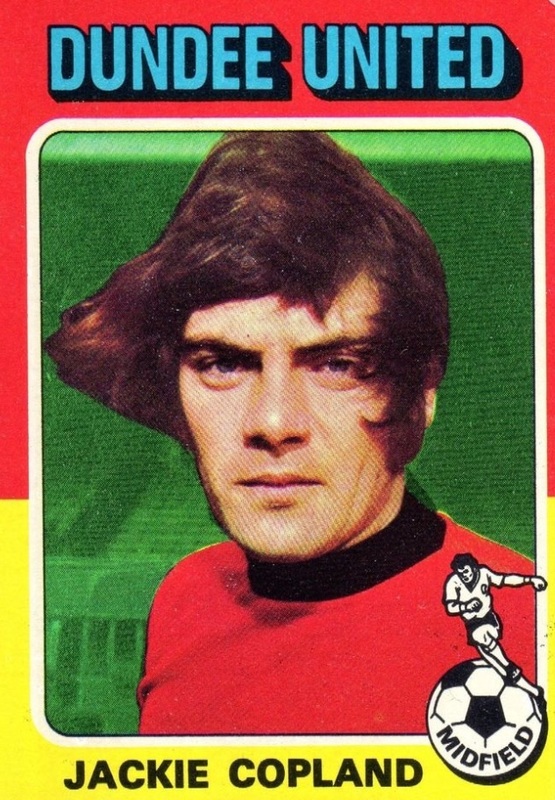 Initially signed as a centre forward, he topped the goal scoring table at United in 1971-72. He was converted to central defence and formed a formidable partnership with Doug Smith. 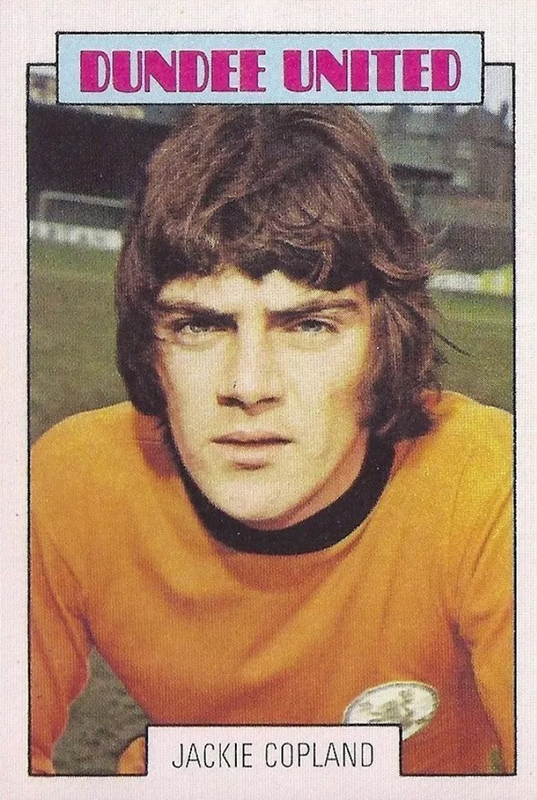 Jackie was one of the players who turned out for United in their first Scottish Cup final appearance against Celtic in May 1974. He was named in the initial squad of forty players for the World Cup in 1974 but was not in the final selection to travel to West Germany. In September 1976, he joined St Mirren for £17,000. Jackie was born on this date in Paisley. This was a game that took a while to get going, but once the two sides found the path to goal, they created a whole host of chances. Both Hamish McAlpine and Roy Baines in the respective goals denied Hazel and McEwan and Alan Gordon before Graham and Blair each contrived to miss an open goal with the Tannadice rearguard openly vulnerable. If Hibs had had the better of the period immediately prior to the interval, it was United who pressed strongly on the resumption after the interval, but Hamish McAlpine was United's hero, making several fine saves. Four minutes from the end former United winger Johnny Graham did get the ball in the net, but was given offside and United took full advantage of this let off. Just three minutes remained when Jackie Copland took advantage of a mix-up in the Hibs defence to slip home what proved to be the winner. 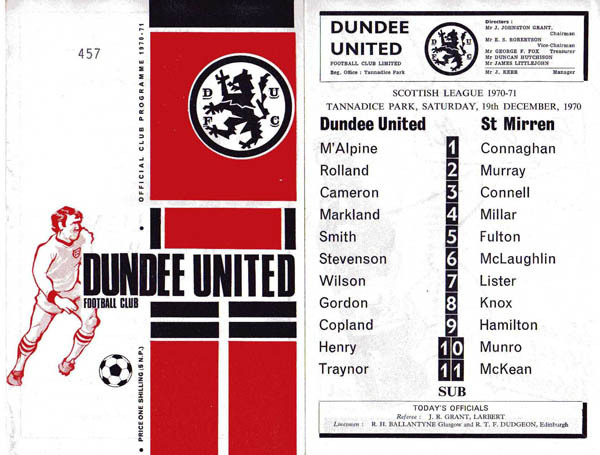 At that stage of the season, talk of relegation for the Tannadice men was doing the rounds in football circles, with Jim McLean's side having not won since the first day of November, 1975. And things got much worse when Motherwell inflicted what United's biggest Premier defeat to date.